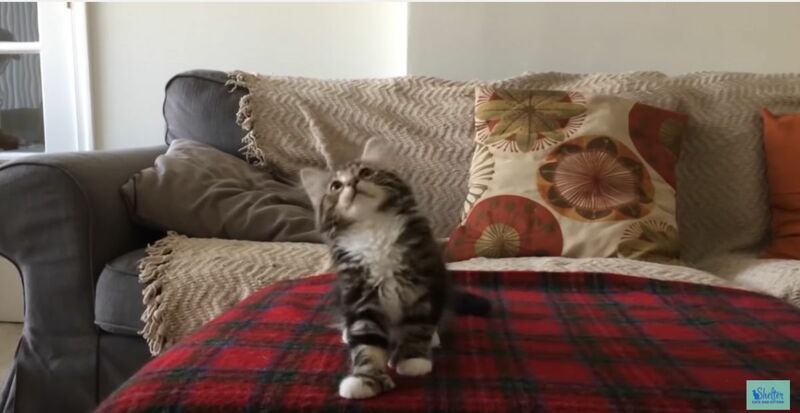 This kitten loves to groove to the beat of her owner's tunes, and we are completely smitten with it. Winnie loves to bob her tiny kitten head to the beat, and she's got quite the talent for it. She is purrfectly in sync with her beloved tunes. Her charming dance moves, which include the occasional paw pump, are hypnotic. Watch as she flawlessly pairs her moves to some techno beats. And here's Winnie's signature moves set to her favorite song (so we're told), Uptown Funk. Don't forget to share her sweet moves with anyone who might feel the beat. Edgar is definitely not a skinny cat – but he's certainly no fool, either. Grieving mama cat lost all of her babies, and then this happened! This little kitten knows no fear and demands attention wherever she goes.